Great Britain Archives - Page 2 of 5 - Zuercher & Co. 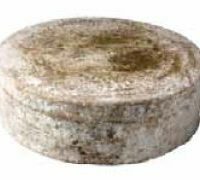 This is a lightly pressed, moist and crumbly cheese made from cow’s milk. 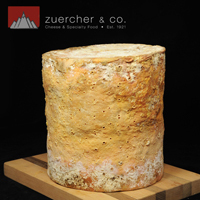 Duckett’s Caerphilly is at it’s best at four weeks of age before stronger flavors and softer textures develop. It has a sharp lemony fresh flavor and is beautiful eaten on its own. 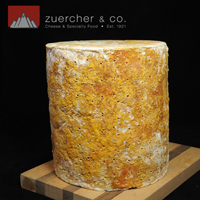 Chris Duckett makes his cheese by hand using old traditional presses. 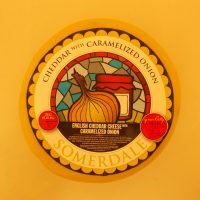 This cheese possesses a creamy, buttery cheddar that is perfectly blended with tangy, caramelized onions to produce a new English favorite. 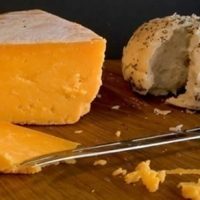 As versatile as it is addictive, this new cheddar has livened up everything from simple sandwiches to hot dogs and grilled portabellas. 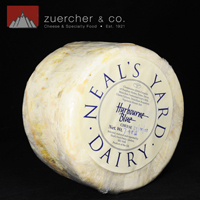 Wensleydale pastures give the cheese the unique, refreshing flavor for which it is renowned. The cheese is a fresh, young cheese taken at only three weeks old. It has a clean, mild, slightly sweet flavor with a honeyed aftertaste. 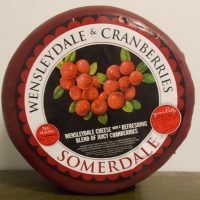 Superb texture of fresh Wensleydale is perfectly complemented by the addition of all natural cranberries. Suitable for vegetarians. Made by the producers of Beenleigh Blue, this is the goat milk counterpart. It is matured at about 40-45 degrees Fahrenheit to slowly develop the flavor which is sweet, floral, and sometimes with a spicy kick. 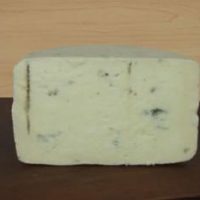 Shropshire Blue has been around since the 1930’s, taking a traditional stilton recipe and then adding annatto for coloring. This leads to a creamy, savory cheese with a slight yeasty bite from the blueing. 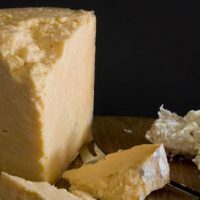 This more contemporary cheese (started in 1983) is developed similar to Caerphilly except that the Cornish Yarg is covered with (sanitized) nettle leaves. 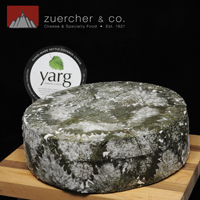 Cornish Yarg develops nicely into a milky tasting cheese with rich, creamy, and sweet undertones.